SpotOn vinyl film has been designed to bring high quality, easy to apply graphics displays to the front line. It is a simple and straightforward to apply printable vinyl for short-term applications such as POP and retail signage, trade show and exhibition graphics as well as office interiors. Key to the simplicity of application is a ‘dot pattern’ adhesive that enables easy bubble-free application on a wide variety of smooth interior surfaces, including walls, windows, glass and more. With Spot On, anyone can install graphics anywhere and at any time. Suitable for short-term indoor graphics applications, SpotOn is a 100µ (4 mil) high quality, ink receptive printable vinyl. SpotOn monomeric has been developed specifically for the creation of vibrant graphics requiring quick and easy application and removal. No special tools are required when applying the vinyl, not even a squeegee. Once installed, the film can be repositioned and, if stored correctly, reused. Available in clear matte, white matte and white gloss versions, SpotOn is printable by solvent, eco-solvent, HP Latex and UV inkjet printers. 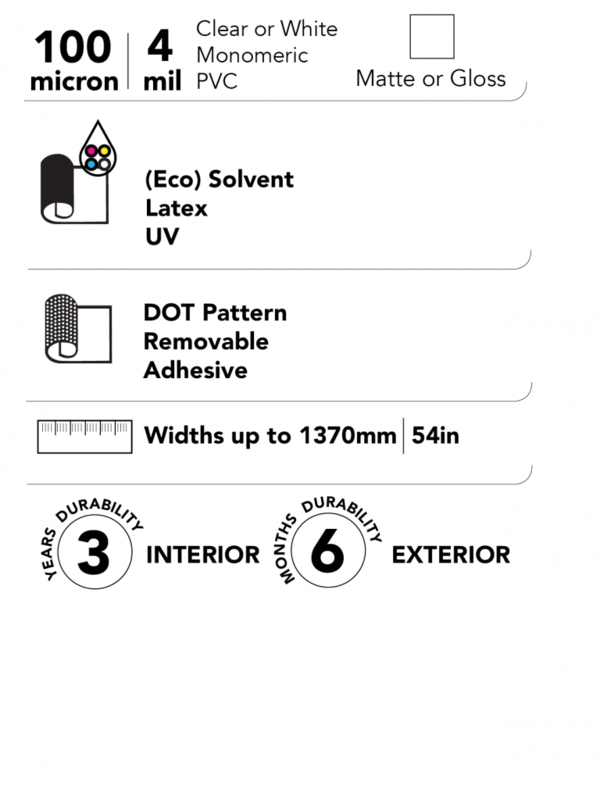 SpotOn has a unique dot pattern removable adhesive that is virtually undetectable, but allows graphics to be installed with minimal effort. They can remain in place for the duration of the application and removed with ease. The film’s adhesive allows for easy, bubble-free application of vibrant graphics to a wide range of substrates without the need for tools or wet installation. 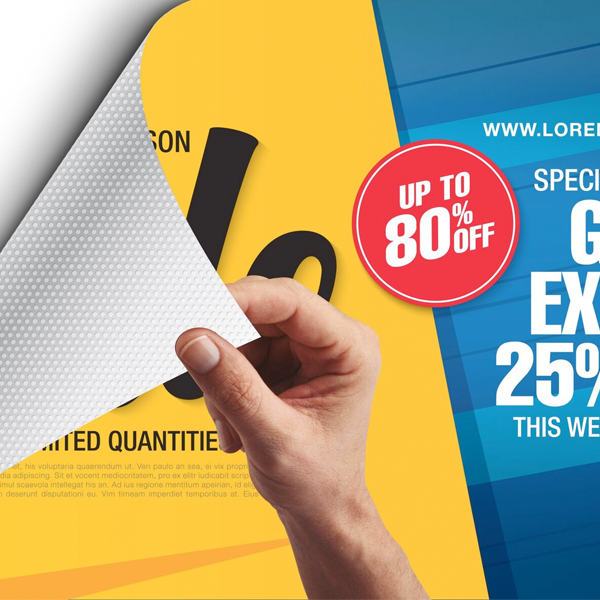 SpotOn is a printable matte monomeric PVC film with a dot pattern, removable pressure sensitive polyacrylate adhesive. The adhesive is protected by a single-sided, siliconised clay coated Kraft release liner. This high quality, ink receptive printable vinyl was specifically developed for easy, bubble-free application of vibrant graphics to a wide range of substrates.